Learn more about files and flea services in Ann Arbor. 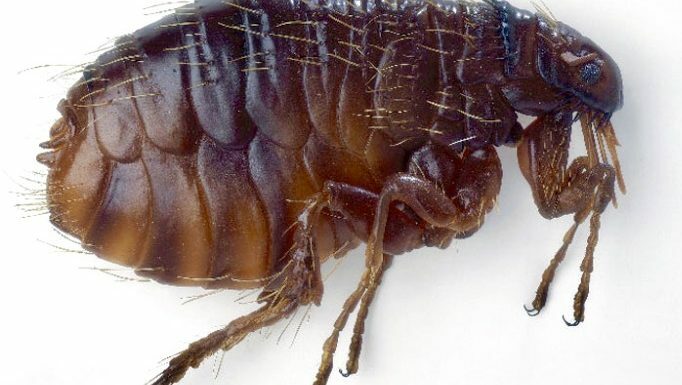 Fleas are one of the most common pests we deal with in Ann Arbor! Every year millions of households are infested by these annoying pests. They are usually associated with our cats and dogs but it is not uncommon for them to be brought into homes by wildlife though attics and crawl spaces. Raccoons, opossums, squirrels, mice and even birds can bring fleas into your home. Luckily, with simple control efforts and help from veterinarians we can eliminate them safely and effectively. Fleas go through four lifecycle stages; egg, larva, pupa, and adult. Their populations consist of roughly 50% eggs, 35% larvae, 10% pupae, and 5% adults. Each female flea can lay between several hundred and several thousand eggs in their lifetime. The eggs are laid both directly on pets and in areas where pets and people rest. Eggs usually take between two days and three weeks to hatch depending on various conditions. Once the right conditions have been met larvae emerge from their eggs and feed on available organic material such as dead insects, adult flea feces, pet dander and vegetable matter. They are blind and avoid sunlight, keeping to dark, humid places such as cracks and crevices along walls, under carpets and in bedding. Given an adequate supply of food the larvae will pupate and weave silken cocoons. Within the cocoon, the larva undergoes metamorphosis into the adult (biting) stage. This can take just four days, but eggs can lay dormant for more than 4 months depending on conditions. Hatching is often triggered by vibrations (human or animal activity), body heat, and increased levels of carbon dioxide (from exhalation), all of which may indicate to the eggs the presence of a suitable host to feed on. Occasionally large numbers of mature eggs may be present in otherwise flea-free environments and the introduction of a suitable host may trigger a mass hatching. Adult fleas are the stage most commonly seen by homeowners, they are reddish brown in color. approximately 1-3mm long and can jump surprising distances. Once the flea reaches adulthood, its primary goal is to find a blood source and then to reproduce. 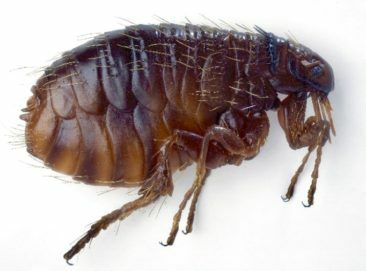 On average adult fleas live 2-3 months but in ideal conditions they can survive up to a year and a half. Fleas are an extreme nuisance to their hosts. Their bites (commonly on lower legs in humans) cause a slightly raised, swollen itching spot; this has a single puncture point at the centre similar to a mosquito bite. The bites often appear in clusters or lines of two bites and can remain itchy and inflamed for up to several weeks afterwards. It is not possible to identify which pest caused a bite reaction by the appearance of the bite alone. When bites are the only sign of pest activity a thorough inspection is required to determine the cause. If you think you have fleas, read more about our service or contact us. Next Post: What does a bed bug look like?